Portugal is a great country to be explored by car. The well-developed motorways system allows to travel comfortably between the capital, Lisbon and the sunny Algarve in the south in just around 2.5 h time. Porto in the north, considered the Best European Destination of 2014, is only 3 hours away from Lisbon, by car. The most remote areas of Portugal, not covered by the motorway network, for example the Peneda-Geres National Park or the rural Alentejo, may take a bit longer to reach, providing however the traveller with beautiful vies along the way. Whether on a road-trip or just using the car to move around the airport and the hotel, you might find useful the few tips on driving in Portugal, below. 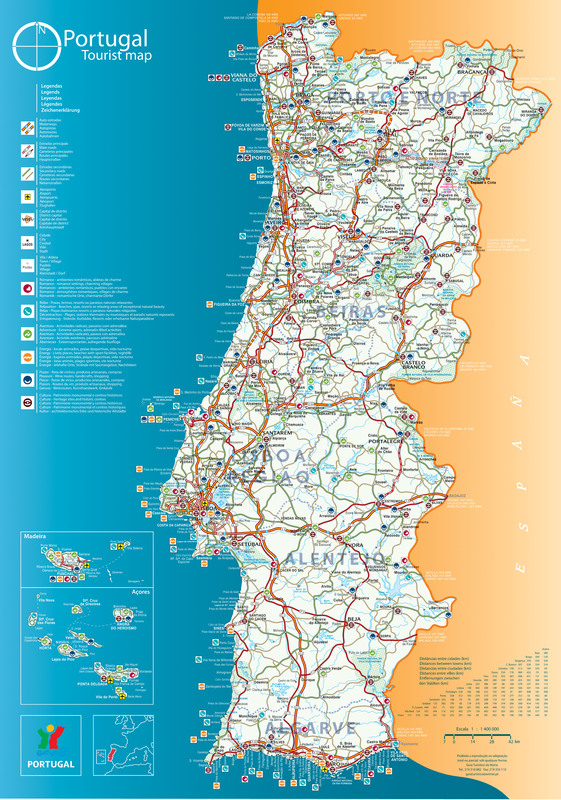 The Portuguese road code does not differ much at its core from the driving rules in the majority of other Western European countries. In Portugal you drive on the right and overtake on the left. Vehicles on the roundabouts have the right of way. The external lane of the roundabout should be used only by the exiting vehicles. The speed limits vary from 50 km/h in build-up areas (except indicated otherwise) and 120 km/h on the motorways. Drink drive limit in Portugal is 0.5 g/l (and 0.2 g/l for recent drivers). Safety seats / baby chairs are compulsory for children under 12 years of age or 1.35 cm of height. The use of mobile phone is strictly forbidden when driving in Portugal. Extra attention must be given to cyclist who, according to the most recent amendment to the Portuguese road code, were granted more protection. It is mandatory for driver to maintain the minimum 1.5 meter distance from cyclists during overtaking. Bicycle crossings are treated equally as pedestrian crossing. Give right of wat to a biker on the bicycle crossing. What to carry with you when driving in Portugal? The driver is required to carry a valid driving licence, the vehicle’s documentation (registration, inspection and the proof of road tax payment) as well as a proof of insurance (third party). In case of a hire car in Portugal, the car rental company provides them. Drivers licenses issued in EU countries are valid in Portugal. Drivers from outside the EU should carry the International Driving Permit. The warning triangle and the reflective vest are a mandatory equipment when driving in Portugal. The reflective vest should be carried inside the car, not in the trunk.